It’s been an incredible start to the year for Irish singer songwriter Una Healy. Earlier this month she played a run of festivals and shows including London’s C2C and a headline slot at Belfast’s Nashville Songwriters Festival. Now she returns with her first ever solo headline tour and brand-new music, announcing her single Never See Me Cry will be released this Friday, March 30th. 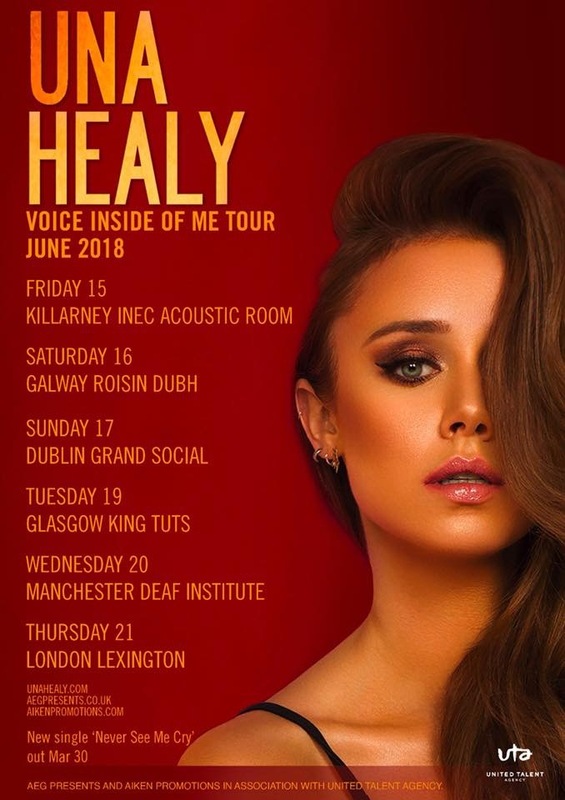 Also today, Una has announced the Voice Inside Of Me UK Tour, kicking off in Killarney on June 15th. Una will then go onto play Galway and Dublin before heading over to the UK where she headlines Glasgow’s King Tuts, Manchester’s Deaf Institute and London’s Lexington. Tickets go on sale on Thursday 29th March at 10am. As well as C2C, where Una played to a packed Town Square Stage, she also supported American country superstars Ashley Mcbryde and Ryan Kinder at their London shows a fortnight ago.